Geshe Thubten Jinpa, Sera Je Monastery, 2012. Photo by Bill Kane. A 78-year-old monk walks back and forth two times every day for the meal being served in the main prayer hall of Sera Je Monastic University, situated in South India. After each meal, he comes back with a half-loaf of bread that he did not finish. I thought the leftover bread would go in the garbage bin, but I was wrong. He puts the bread in the sun and lets it dry. Later in the day when his young disciples come back hungry from class, he offers the dry piece of bread as a snack with a cup of black tea. This old monk has been doing this for decades. Now it is just a habit, but 30 years ago he started this ritual out of helplessness and responsibility. In those days, senior monks who had young disciples had to save half of their food so that their young pupils could eat and be able to continue their studies in the evening without an empty stomach. Some of the young monks who studied with him and received his dry bread each day are the most brilliant geshes today. They are now the main teachers for the young monks in the monastery and some are teaching in FPMT centers around the world and benefiting many people. It was not an easy job to accept any new monks before the 1990s, because when you accepted a new monk, you took full responsibility for his well-being, meaning you had to take care of his lodging, food, study and other material needs. It is as if you had become a parent to the new monk. Geshe Wangchen, one of the oldest monks at Sera Je, remembers how stressful it was when he was receiving many new monks from Tibet and the Himalayas. 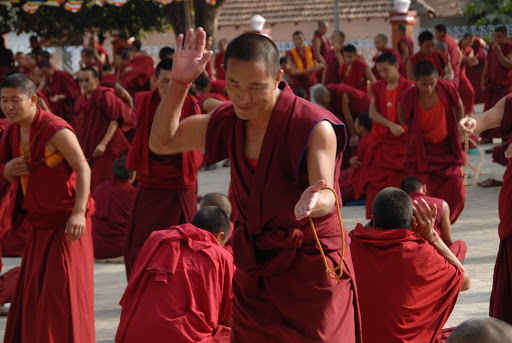 Although he was joyful to have new monks come from far and wide to learn the Dharma, he understood the reality that they were now his complete responsibility. This was very challenging at that time, as every monk had to pay for their meals themselves. In the early ‘90s Geshe Wangchen could not afford to offer meals to his students, and so he had no choice but to share each of his own meals with three or four other monks in addition to organizing food – a heartbreaking porridge made out of just 1 kilo (2.2 pounds) of flour – for as many as 20 young disciples. Today, he appreciates so sincerely the Sera Je Food Fund that was established by Lama Zopa Rinpoche in 1991. Suddenly, the responsibility of providing for all the monks was lifted from him. Geshe Nyima, a lharampa geshe (equivalent to a doctorate in Buddhist philosophy), is now teaching hundreds of monks more than six sessions every single day, despite his poor health. He suffers from gastric ulcers and is very weak, exemplifying the dangers of malnurishment at a young age. Geshe Nyima escaped Tibet in 1982, together with 15 other young monks, and arrived in India to study at Sera Je Monastery. Most of the friends with whom he escaped from Tibet became very ill due to the lack of nutrition and hygiene. Most of them gave up and either returned to Tibet or left for somewhere else. Geshe Nyima stayed on, but he struggled. All those who survived the early times are now in poor health, like Geshe Nyima. Today, the Sera Je Food Fund provides highly nutritious meals, hygienically prepared for thousands of monks every day. Since the food fund started in 1991, the health of all the monks improved dramatically. They are now able to devote their full time to their Dharma studies without worrying about their meals or if they will have enough food. 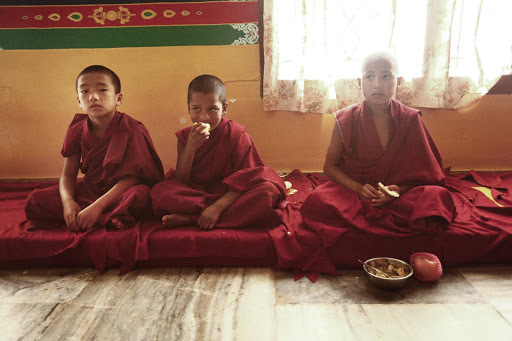 The most significant impact of the Sera Je Food Fund can be seen by the increase of numbers of the monks, and that senior monks like Geshe Wangchen are now able to accept as many new students as they can without worry. Sera Je Monastery now has the largest amount of monks studying Tibetan Buddhism and it is where most of the best scholars are produced. These scholars are, in turn, able to teach Dharma all over world and attract many new students, thus directly helping to preserve the Mahayana tradition. Unfortunately, we live in a world where billions of dollars spent on manufacturing weapons every year, but in comparison, a great deal of struggle is required just to get the basic needs for an altruistic purpose such as supporting Sangha communities. Dharma is not just about studying, meditating or praying. It can be practiced in every part of our life. We can make whatever we do Dharma practice. We can support the great work of eliminating the suffering of others by supporting Dharma projects. It is not possible for everyone to engage in the serious Dharma study and practice, but your single contribution to support those who live their life abiding in morality and engaging in three trainings can be so meaningful. Your support not only benefits them but also you receive equal benefit. Whatever we possess today, whether it be life, health or wealth, this does not exist inherently, and it is in the nature of impermanence, at any time it can change. So while you have this incredible situation, use it wisely. Use it to benefit others most, for example, by supporting Lama Zopa Rinpoche’s holy project, the Sera Je Food Fund, which has a dramatic impact on the monks of Sera Je Monastery and the preservation of the Mahayana tradition. Bodhisattva Maitreya states in the Uttaratantra: “Buddha’s doctrine is categorized into two parts: scriptural Dharma – studying and teaching scriptures – and Dharma of realization – attaining realization by living in morality.” By supporting the Sangha community at Sera Je Monastery you are playing the best role in the preservation of Buddha’s teachings and service to all the buddhas and bodhisattvas and in this way contributing to happiness of all living beings. Geshe Thubten Jinpa was ordained by Lama Zopa Rinpoche in 1990 and since then has studied and completed the geshe course at Kopan Monastery. 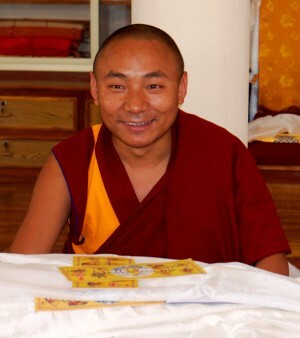 He graduated as a rabjampa geshe from Kopan Monastery in 2010 and then after one year of intensive study and exams at Sera Je Monastery and University he was awarded with Special Geshe degree in 2012. Geshe Jinpa has also served as Lama Zopa Rinpoche’s second attendant. The current cost to offer three meals a day, every day per year, to the 2,500 monks studying at Sera Je Monastery is US$280,000. To learn more about the meals offered and how they are prepared, read “Cooking with Bodhichitta: The Sera Je Food Fund.” To learn more about the experience of studying at Sera Je, read “The Greatest Honor: Becoming a Rik Chung” by American monk Tenzin Gache.